← Jump In to Summer Learning Week 1 Extras! 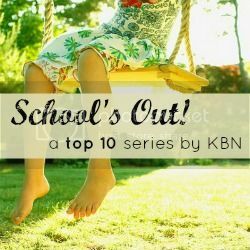 I’m excited to be a part of this Top 10 Series. There are over 25 bloggers that are apart of this! You are sure to find some topic you will love to read about! My top 10 is about book activities! We do a lot of book activities that I don’t ever post about. 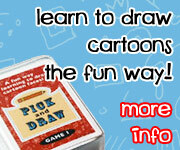 It is really a simple and easy way to add additional learning in a fun way. This summer for a lot of people is Summer Reading for school. This summer we will be doing summer reading. I hope to read the books before my daughter does. Then plan an activity with her once she has finished the book. I do this a lot. I read all the books for the book activities that we do. I try and vary the activities that we do with the books. You will find 10 great ways to explore books. Plus posts with these ideas. You never know what you will find and like! Click on the pictures to see more about each activity! I love gross motor. I got my degree in Physical Education. I just never expected that I would be using it this way. Books are easy to use for gross motor. Here are some things to look at when doing it. Look for action works or animals that you can do. What movements can you do for the animals. You can see two examples of gross motor here. Dr Seuss’ ABCs Gross Motor. (Yes all 26 letters have activities that you can do!) and Jump Frog Jump. This is a simple and easy thing when reading a book. We always count out all the items. One way to change this up is to put tokens on each item as you count them. You can do it on the floor or on the book for each item. This gives them extra counting and a hand on experience. Here is an example of the counting: 1, 2, 3 To the Zoo. Look at the book and make a fun character from the book or your own item from the book. With Crayola Model Magic and clay you can make something that you can keep. With play dough you can make many different things over and over. Plus all provide a great hands on activity! Here is an example of 3D Models Sweet Dream Pie and Whale and Snail. Dot Markers and Dot Marker pages are a fun and easy way to explore stories. I have several sets of Dot marker pages and I use them when telling a story. You can break them down into parts. We explored a flower with them. I also have several color as you read the story stuff! Which is great you read the story and they color. Here are some activities with printables Exploring Flowers & Yarn Spring Tree. Hand prints are fun for everyone! It is a great messy way to interact with the story. So many elements of books can be made from hand prints. You read about snow and make snow flakes. You read about a fish and make a hand print fish. It is hands on and something that is sure of them to remember! Here are some activities using hand prints Hand Print Snowflakes and Clover Handprints. Lots of books have small objects you can use to manipulate with fine motor! We read Chopsticks and I mad activities to go with it. We had chopsticks and food the manipulate. This was a great fine motor activity. Here is a great example of fine motor Playing with Chopsticks. A lot of books have nature in them. Why not use that as part of the activity. We have read several books about flowers and then painted with flowers after. Plus you can find several books with making art from leaves and twigs. These books are so much fun to extend them to doing art work with items from the book. It gives you a great way to learn. Here are some examples of using Nature Leaf Art and Painting with Flowers. Torn paper crafts are also great fine motor activities you can make a picture from the book and build great fine motor skills. But also does fun mosaics when you they work with the project. Each picture is different even when provided with the same materials. Here are some examples of using torn paper to explore books: Torn Paper Apple Tree & Torn paper Truffula Trees. Painting and stamping are fun ways to explore books. There are lots of ways you can do it. Melissa & Doug have great stamps you can use when exploring books or make your own! Plus when you are exploring a book don’t think of just one way to do it! We often do more than one activity per book. Here are two examples of exploring the same book two different ways.Birds in a Tree & Birds on a Wire. Sensory bins are easy and a fun way to explore books! You can provide hands on activities for them. Let them play with the sensory bin and then at later time use parts from the bin to help tell the story. It helps them have hands on relations to the book and something physical they can remember. What is your favorite way to explore books? Check out the list of people doing this round up! This entry was posted in reading and books and tagged books, reading, round up, top 10. Bookmark the permalink. All fun ideas! I haven’t done paper tearing art with my youngest yet – adding it to my list of summer things to do. Thanks! What a wonderful collection of books and follow up activities. It can always be hard to think of activities. Thank you. I love thinking up new ideas! It is always fun to try something new! What FUN ideas!!! Love this series. Thank you for sharing! These are great ideas! I love how you involve play dough with books–what a great combination! I’m pinning this–thanks for sharing it at Teach Me Tuesday at Preschool Powol Packets! Glad you like it! I always love to do activities when we read books! I love sensory bins! I just made a farm sensory bin for my daughter as we are doing a farm theme. I love the ideas you have here to go with the books. My daughter loves the dot pages. I can’t make them fast enough for her. LOL I never thought of the playdough sculpting a character. I really like that idea and I think I just may try that with our next book. Please send me an email with more information about what you want to do. Thank you-there are some that are new to us. I especially like the torn paper idea. We love doing torn paper crafts and do them often! It is a fun way to explore books. Great post, Cassie! Thanks for the fun ideas. You are welcome! It was so fun to put together! Great suggestions, Cassie. Pinning to my books and literacy board. Thanks for sharing with us today! So many really fun ideas to go with books! They are great! I like gross motor activities, hand prints and torn paper crafts. But other activities are fantastic, too. It’s great you could put them all together. Thank you so much for sharing. I’ve got some fun ideas for the book we are reading now! Thanks again!